Lillian Stewart Carl usually incorporates history and archaeology into her novels. She also writes science fiction short stories. Read excerpts at her website. For years, Lauren Reay had been haunted by a dream about a castle. Then, when her grandfather was on his deathbed, he received a calendar that included a photograph of the castle and a note about its location, causing Lauren to realize with a shock that her dream castle actually existed and was connected to her family. 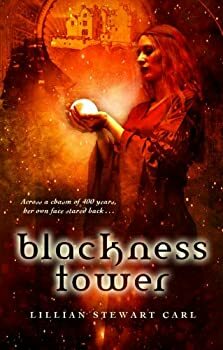 Now, her grandfather having passed away, Lauren travels to the remote north of Scotland to see the castle, Blackness Tower, and to dig into the tragic family history that led her ancestor to leave the area long ago. Sabazel — (1985-1989) Publisher: In a world rooted in Mediterranean history and mythology, armies clash, magicks compete, and the gods set their pawns onto the gameboard. Danica, a warrior-queen, is forced to form a more-than-political alliance with Bellasteros, a warrior-king, making his enemies her enemies. When she rides into battle at his side, carrying his child, his friends become her enemies, too. Trapped, with no choice but to play the game to the end, they begin to re-evaluate their loyalties. And as their worlds are torn apart by both the clash of arms and supernatural powers, Danica and Bellasteros discover that only change will save them and their child. Ashes to Ashes & Dust to Dust — (1990-1991) Publisher: Historian Rebecca Reid comes from Missouri to a replica of a Scottish castle located outside a small town in Ohio. She’s cataloging a collection of historical artifacts, among them, supposedly, a scandalous letter written by Mary, Queen of Scots. But her co-worker, Scottish historian Michael Campbell, has his own plans. And the ghosts of the past, not to mention a very contemporary antagonist, want them both gone. Garden of Thorns — (1992) Publisher: Eighty years ago, a woman was murdered by her own husband. Tonight, another woman will hear her secrets… In Garden of Thorns, Mark is working at an archaeological excavation and Hilary at an art museum in Fort Worth, Texas. Their relationship is rocky enough without someone resorting to murder to keep his skeletons in the closet. Memory and Desire: A Novel of Mystery and Romance — (2000) Publisher:Claire came to the English village to find her best friend, Melinda, who’d vanished after performing in a play which re-creates a seventeenth century witchcraft trial. What she found was a murder mystery — and a man. A man who, like her, is trapped between memory and desire. The play takes place at the manor house where the protagonists lived and died, a house where the past is still a haunting presence. Did Melinda ask too many questions about the village’s tragic history? To find her, Claire, too, must ask questions. What she learns is that everyone in the village is playing a role — not just in the melodrama, but in real life. Claire must walk a fine line between repeating the past and surviving the present. For if she puts one foot wrong she won’t be seeing the future at all, let alone spending it with the man she’s not only come to trust but to love. Along the Rim of Time — (2000) Publisher: In twelve stories originally published in magazines and anthologies, characters find themselves skirting the often uncertain boundary between this world and others, by choice, by chance, or by coercion. Warriors fight battles they didn’t sign on to fight. Androids grapple with humanity. Teachers, artists, scientists, and a housewife encounter realities they never knew existed. From ancient Roman Britain to the moons of Jupiter, from Scotland to Tibet to your own back yard, from this world to ones that never existed, these stories take you for a wild ride along the rim of time, space, and imagination. Shadows in Scarlet — (2001) Publisher: Amanda Witham sees her new job at an eighteenth-century house as a career move, just part of the history business, nothing personal. Then archaeologists find a man’s skeleton buried in the garden behind the house. That night James Grant’s ghost introduces himself to her. And a handsome and charming ghost he is, in the tartan kilt and scarlet coat of King George’s Highland Regiment. Suddenly Amanda finds history to be up close and very personal indeed. Like many handsome and charming men, James puts Amanda in a difficult position. She can hardly tell her friends and co-workers of her hands-on original source. And yet she promises James she’ll reveal the truth about his death — just as soon as she figures out what the truth is. So why was he buried in the garden when eighteenth-century records say he died in battle? Amanda’s quest begins in Colonial Williamsburg and ends at James’s ancestral castle in Scotland, which, she discovers, is still very much in the family. But nothing, not time and space, not illusion and reality, not love and death, turns out to be what she anticipated. And when James’s past finally catches up with her present, Amanda finds her future held at sword’s point. Time Enough to Die — (2002) Publisher: There are sins that whisper melodies of madness through the blood; sins that sing to us down and across the generations – no matter what the distance, we know them when we see them, and perhaps they know us, too. Keziah Mason was born a world away in time. She died horribly an age ago – or more. Now, there are whispers on the streets that she’s returned. Returned as an old woman, ragged and unclean as any vagabond wandering the streets of Arkham. The sort of woman you or I might take to be an ordinary madwoman – until we draw close, and see her eyes. Eyes the color of dark light; eyes that glitter hatefully; eyes that watch everyone and everything around her with predatory yearning. Yearning – for a child. There are no words to tell a child all the horrors that abound in Arkham and the world. Not even malformed and orphaned Jason Laidlaw, the boy who is her misbegotten son. A boy as innocent as you or I – a boy who knows the evil in our bones. A child doomed by generations made of evil, and damned by birthright in a city haunted as its name. ARKHAM – welcome to the city of fear. Lucifer’s Crown — (2003) Publisher: A young woman, Rose, finds a dead body in the ruins of Glastonbury Abbey in England. But what starts out as a murder mystery soon becomes a much more complex story interweaving genuine history and mythology with elements of fantasy and romance. Rose, her conflicted teacher Maggie, and a young Scot on a quest are caught up in the timeless battle of good and evil, joining a tarnished saint to redeem the Holy Grail itself from the clutches of a very polished devil. The Muse and Other Stories of History, Mystery and Myth — (2007) Publisher: In The Muse and Other Stories of History, Mystery and Myth, Lillian Stewart Carl sweeps you through a magical mystery tour of history. Thirteen stories take you from the British colonies in America and India to medieval England and revolutionary Scotland. Vividly realized worlds include Shakespeare’s timeless Illyria and the very real twenty-first century. People on-screen and -off include Thomas Becket and Thomas Jefferson, Charles Dickens and Bonnie Prince Charlie, Queen Elizabeth I at her height and Ann Boleyn, her mother, at her depth. Carl’s slaves and soldiers, sorcerers and sinners – and even a striped cat or two — are often sleuths and always good company. Humankind’s great passions – greed, love and hate, the rights of man (and woman) — provide motives for murder and more. And lives are touched by fantasy, because along that shore between the present and the past, nothing is certain. Lillian Stewart Carl is the author of twenty-four short stories and fifteen novels, with more to come. The Muse and Other Stories includes twelve stories especially commissioned for theme anthologies and a story from a magazine, plus new Author’s Notes and an essay on writing short historical mystery. CLICK HERE FOR MORE BY LILLIAN STEWART CARL.